On this date in 1973, Billy Graham closed his 5-day Seoul, Korea Crusade in front of a crowd estimated by local officials to exceed 1.1 million. Over the course of the Crusade, Mr. Graham preached to more than 3 million, which topped the totals of the historic 16-week, 1957 New York City Crusade. These excerpts from John Pollock’s authorized biography of Billy Graham, The Billy Graham Story, give us insight into that historic day. In the wide Han River, which marks the western edges of downtown Seoul, lies the open space of Yoido island. The island’s chief feature is the “May 16” People’s Plaza, a long narrow paved runway, approximately one mile by two hundred yards, formerly the famous “Quay 16” landing ground of the Korean War. This was the place secured for the crusade. Sunday, June 3, 1973, turned warm with only passing clouds. Two hours before the service time at 3 p.m., Billy and his interpreter Dr. Billy Kim, joined the stream flowing toward Yoido. When Billy Graham mounted the platform, a solid block of humanity quietly awaited him. Every section, every aisle between, and away to edges of the plaza hitherto unused, sat an unbroken mass of people, who throughout that service, unless singing, stayed incredibly quiet. For all who took part, that final crusade service is a dreamlike memory: the solemn responsibility of ministering to such a multitude, the visual impact of so many mortals in one place. 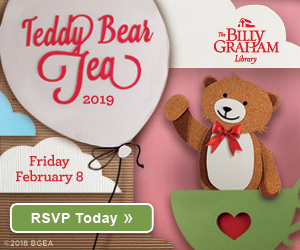 Billy Graham knew he had a special responsibility when he came to the invitation at the close of his sermon. With a million present, it would have been easy to trigger a mass reaction. He therefore made his invitation harder than usual. “If you’re willing to forsake all other gods, stand up.” There was a hush upon the audience at first. Then one here and one there arose, until thousands were standing. Billy led them in the prayer of accepting Christ…Then he said, “counselors with your material, make your way back to those people who are standing.” Over 12,000 cards came in that day. Thousands more followed by mail…and, as the future showed, a great many made genuine commitments who never were reached by a counselor at the plaza. The million did not move during the counseling. Many prayed as they sat. Thousands upon thousands began to sing. Then a helicopter rose from behind the platform. Dr. Han, the chairman, put up his hand for silence. 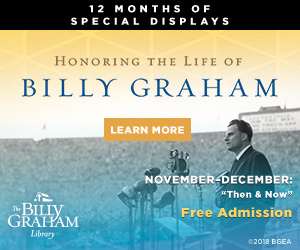 He explained that Billy Graham was leaving Korea that afternoon, and he could not say goodbye personally to everybody, but his helicopter would circle in farewell over the plaza. Awesome historic encouraging truth to know and the evidence of God at ever since. Truly God has been with those whose heart were close to Him to this day. Hallelujah………. God is all that worth it! 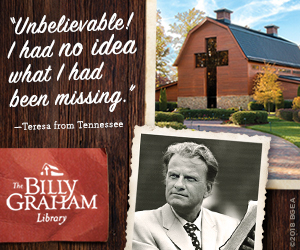 More God’s blessing to Billy Graham’s ministry! I was in Korea serving in the Army at the time. I was accompanying Jewish comedian George Jesse who was entertaining the troops. We went to pay our respects to Mr. Graham who welcomed us cordially into his hotel room where we he and his wife were gracious and relaxed and seemed a bit humbled by the historic events. 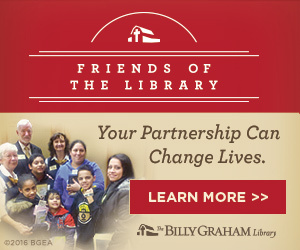 I have a photo of Billy Graham & Jessel with me in the middle between them. I cherish this photo. I was there. I was 9th grade. I did not plan to be there but I was forced to walk across the island because of the traffic control. I thought I might as well check what’s this all about. I don’t remember a thing that I heard but I know that I was promoted to stand up and receive Jesus. It took many more years until I came to the State and to understand what had happened on that day. Later in Urbana 84, I stood up again Dr. Graham’s invItation. I am forever in debt to Dr. Graham for my eternal life. Here is a trustworthy saying: Whoever aspires to be an overseer desires a noble task. 1Tim 3:1. But much more than this and firstly God is interested in working on our lives to make us that which He desires. Let’s first of all ask Him for grace to be patient still when His tools are hard on us. When we’ve got this right then serving Him will not be a problem. And also there are men who served God ‘faithfully’ and we never heard of them… was is because they failed ? No. It is to which aspect He would have us serve : that is why getting it right with Him is the first thing to pursue. Thanks Mr Billy Graham with all your entire team for preaching the gospel. am blessed and encouraged. God richly bless you. Glory to God the most high. Am lifted to hear what God can do.I pray that God shall rise up many similar anointed men of God in the World to prepare the church for the end time missions. Am ready myself for such anointing. God bless you all men and women of God. Amazing to sence God’s presence as I read this. THIS IS AWESOME! GLORY BE TO GOD FOR THIS GREAT FIT. MAY HIS SERVANT WHOM HE USED FOR THIS GREAT FIT NEVER LOSE HIS REWARD ON EARTH AND IN ETERNITY, IN THE NAME OF JESUS CHRIST, AMEN! Praise the Lord. This is really God’s handy work. Prayerful effort fetched good results bringing 3 million people to listen and witness the God love and the fellowship of God’s people. This was really a blessing to the country and people of Korea. In June of 1973 we went to Korea to see our son-to-be (adopted) for the first time. While we were there, we had to take a taxi. The driver had his radio on and we heard singing that sounded familiar. Then we heard what sounded like preaching, but it was being translated into Korean. We soon learned that it was Billy Graham preaching, and George Beverly Shea had been singing. Friday, we heard the story of Billy Kim for the first time, and tears came to our eyes as we realized that we had heard him while we were in Korea, and now heard how God had used him in such a special way. God is so good!!! I have tears in my eyes because this event is a testament to God’s glory. He can move mountains. Or at least in this case, people. Our God is an awesome God. I attended the outreach in ’73 & still have my banner & radio. We were given/purchased radios to listen to translators in Korean & English which drew many around me who could listen to Billy Graham. It poured terrible one evening service & many sat on thin seats of foam. A brother who didn’t speak English and his family offered me a square to sit on and pulled me into their family huddle under umbrellas as if I’d known them always. I found many of the South Koreans a witness of brotherly love. I was in Army and was “adopted” by Pastor Park who was as a pastor of church with over 10,000 as well as a Korean Army Lt.Gen chaplain. We have indep missionaries there who survive by prayer, remember them please. God bless all that attended wish I were one of the multitude listening to the message. 40 years later that’s all that is in my heart. to know HIS will for me. Thank you so much for sharing this historic moment. We praise God for His goodness to men and women, boys and girls through the preaching of His Word by Billy Graham and the prayers of the saints throughout Christendom. . I was there only about 40 yards away from Billy but couldn’t see him blocked by TV tower in front of me. We all sat on the cement ground. They were too many people to come forward so he asked us to stand to accept Christ. We all stood being uncomfortable sitting on the ground. I was there in Seoul working for Mattel making Barbie dolls. I recommend all to read “Just as I am” … you will see how much he was bless by God. There is no one like him ever! I attended a Billy Graham crusade in Sydney, Australia way back in about 1962? I do not remember the exact date but it was the most unforgettable time. I still have a copy of the Billy Graham song book and remember the wonderful singing that night. My father even came with me and my intended husband . Billy’s wonderful faith in Jesus constantly refreshes my faith…it was a simple acceptance of his..just take Him into your heart !